Seoul Dynasty now have a 5-2 record. Not many would have guessed that Seoul Dynasty would head into the half-time of their Feb. 1 Overwatch League match down 2-0, but if anyone were to dismantle Seoul in such a way, it’d be London Spitfire. London, Seoul, and New York Excelsior entered their matches today looking to further secure their run at the top. Only three teams can make it into the Overwatch League’s stage one title matches, and a few other Overwatch League teams are nipping at the the top three’s heels. Unsurprisingly, New York swept Shanghai Dragons in the match ahead of the London and Seoul bout, upping their record to 6-1. A loss from either London or Seoul would knock one of the dominant Korean teams down to 5-2, tying them with both Houston Outlaws and Los Angeles Valiant. In the first two maps, Numbani and Temple of Anubis, London made Seoul look silly, full-holding the former Lunatic-Hai roster before they could nab even one point on each map. Moving on to Ilios, London scored both points in quick succession to win the series with a 3-0 record. As always, a fourth map is played. This time, it was Dorado. Seoul had no chance to take the series, but map score is important in case of a tie. 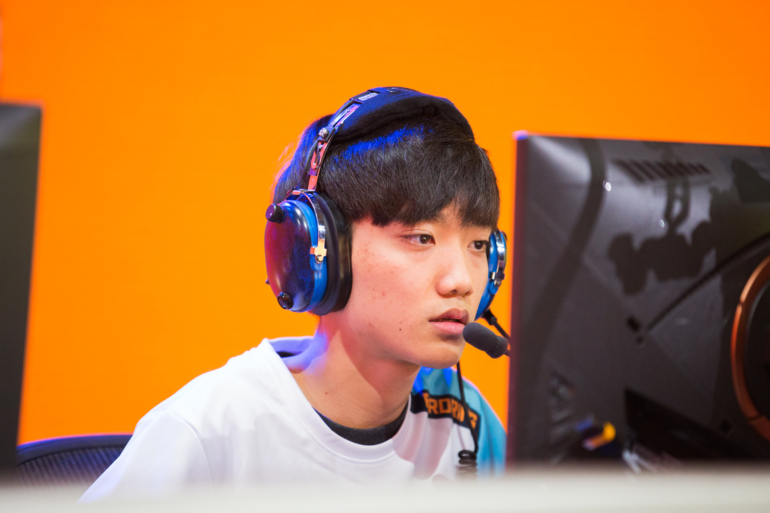 But for Seoul, it’s more than that: They need to prove themselves as a top team, and a 4-0 by London Spitfire doesn’t align with that title. What did Seoul do wrong? Well, for one, Seoul chose not to run their star support player Ryu “ryujehong” Je-hong, instead opting to sub in Moon “Gido” Gi-do as support. The idea was that Gido’s style of support play was better suited for London, a move that might catch them by surprise, the team told Overwatch League’s Soe Gschwind-Penski. It likely was surprising, but in a bewildering way. The support duo of Gido and Yang “tobi” Jin-mo didn’t have the same energy and cohesion as tobi and ryujehong do. It was obvious to viewers, and likely very obvious to London, too, as shown by how the team exploited Seoul’s weakness in the match. Meanwhile, London flexed their bench by swapping players in and out, keeping Seoul on their toes. Seoul never knew who’d come in or out, and it worked in London’s favor. Experimenting in playstyle is a good thing; it keeps matches interesting and creates an unstable atmosphere for opponents. But whatever Seoul Dynasty were doing today went a step further into stubborn territory. It took the Seoul-based team until the fourth map to even capture one point in their Feb. 1 match. That’s not something anyone expected to say today. Seoul face Houston Outlaws on Feb. 2 in what will be an important match in determining who is more likely to make it into the stage one title matches. London Spitfire will take on Shanghai Dragons on Feb. 3, which will likely be an easy win for the Korean team.